Yummie… “E la pasta della mia mamma!” – yells our Neapolitan friend while immersed in a large plate of Civita Penne Napoletana. Our pastas bring this authentic experience into your home. Even your guests will be yelling his words! Originally made in North-Eastern Italy, this pasta gets its name from the spindles (fuso) used to give them their characteristic corkscrew shape. Due to its shape, Fusilli is a great fit with a variety of different sauces! Our pastas come in 450 gram packages. One of the most famous Italian pasta types, Penne is the prince of pasta. Its ribbed surface holds tightly onto any sauce it is paired with. There is nothing better for a spicy Arrabiata. Available in regular and high-fibre content variants. The elegant shell shape of this pasta holds the perfect amount of sauce in every bite. This versatile pasta complements thick and rich sauces, light sauces, and gravies. Try Conchiglie with a ragout as well! Cornetti has a worldwide popularity among pasta lovers, partly because of its versatility. It will pair ideally with different sauces. Also, try it in light pasta salads with some cold pressed corn oil. A traditional Hungarian kitchen cannot exist without the “fodros kocka.” This pasta is a staple of classic Hungarian cuisine like creamy, spicy potato pasta or cabbage noodles. Pairs well with gratinated pasta based foods, stews, and noodles. As the king of pasta, Spaghetti is quite transformable in the kitchen. Whether served with a heavy sauce or a light spicy oil, salty or sweet, it is simply sumptuous! With a plate of Civita Spaghetti that “Dolce Vita” feeling will dance around your home. Can you make a pasta even more irresistible? We did just that with our adorably shaped Teddy bear pasta. These cute little dinner guests bring a smile to the face of every child. Your kids will rush to the dinner table for Teddy bear Bolognese! Your Teddy bear pasta salad will be a great hit at the next family picnic. Because of its small size, this pasta is typically used in soups. Its versatility also makes it great for stacked pasta dishes as well as pasta salads. Get creative with these small squares! This is the short version of the Italian Tagliatelle, and similar to Frilly squares, it is an integral part of Hungarian gastronomy. Short noodles are a perfect choice for thick saucy dishes, or pasta based desserts. Add a kiss of flavor and excitement to every dish with Civita cold pressed corn oils. Not only are they tastier, they are healthier than other oils. Civita corn oil is available in 500 ml packaging in dedicated department stores, bio- and health stores, and the Civita online store. Spiced oils are available in 250 ml bottles in selected department stores, bio- and health stores. At the Civita online store we offer 250 ml and 500 ml bottles. Our salad oils are available in selected department stores, bio- and health stores, as well as the Civita online store in 250 ml pack size. Baking is a joy second only to eating what you just baked. At Civita, we believe that the gluten-sensitive community deserves to bake their cakes, and eat them too. 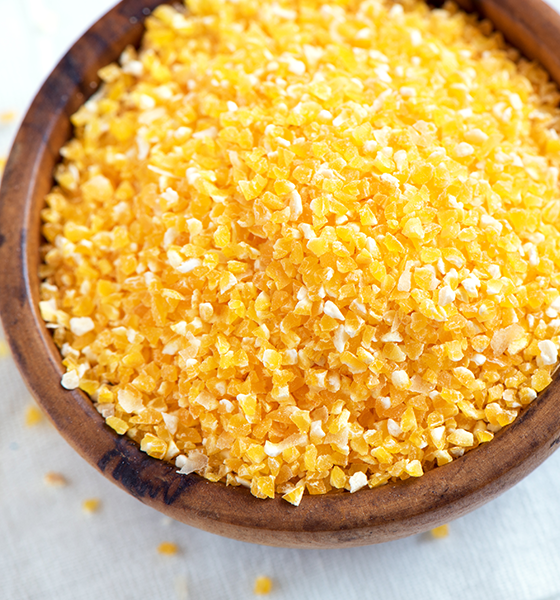 Our Civita coarse polenta, cornidge, and corn flour are a trinity that bring this reality to you. These versatile mill products have extraordinarily high fibre content and lay the foundation for complete nutrition. Civita products just a click away! 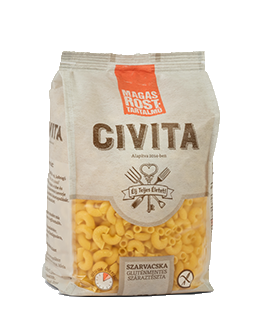 You can purchase our Civita products in the selected department stores, bio- and health stores, or at our Civita online store. If you have any inquiries regarding our Civita products, or you are just interested in learning about nutritionally complete food, please contact us. Contact information below.